The award-winning Razer Blade Laptop is now available at PB Tech! With a range of models in our first shipment, choosing which one to get is going to be tricky indeed. 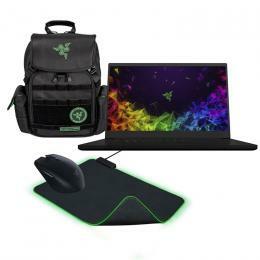 All of them look utterly fantastic, with top-notch performance and exclusive Razer features that have deservedly made the Razer Blade one of the most sought-after laptop designs in the world. Starting with the 13.3" Razer Blade Stealth, these ultra-thin models fit the ultrabook class of laptop with incredible battery life and fast performance without the bulk. Weighing no more than 1.35 kg, the Razer Blade Stealth ultrabook is the perfect lightweight companion, wherever you choose to go. 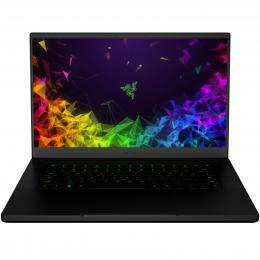 Unlike the larger Razer Blades, most wouldn't consider the Razer Blade Stealth series to be a "Gaming Laptop" because it doesn't actually have a dedicated graphics card within, opting for the Intel integrated graphics instead that are included with the 8th gen i7-8550U - certainly capable of playing some League of Legends on the 13.3" QHD+ 3200 x 1800 Touch Screen but this slim laptop has another trick up its sleeve - it has a Thunderbolt 3 port! This Thunderbolt 3 port can be used to attach a dedicated graphics card via an external GPU enclosure - and with one of these you can add pretty much any desktop graphics card - turning your super slim laptop into a mighty gaming beast! At just 0.66" thin, this Razer Gaming Laptop is now even more compact, but fully packed with features for incredible performance. Plus, with a larger 15.6" edge-to-edge display and a 144Hz refresh rate, you can enjoy gaming and streaming on a fast, vivid screen. For those hunting for the biggest, most powerful version, check out the incredible Razer Blade Pro. The Razer Blade Pro gaming laptop sets a new standard for desktop replacement laptops delivering an immersive experience in an incredibly thin form factor. Equipped with an i7 processor, NVIDIA GeForce VR ready graphics, ample memory, storage, and ports, and a massive 17.3" 3840 X 2160 resolution 100% Adobe RGB IGZO touchscreen display. Pretty awesome stuff, but it gets better! This is just a small slice from our massive range of Gaming Laptops at PB Tech, we'll continue to update with all the latest models and accessories as they arrive! Check out Razer on YouTube!